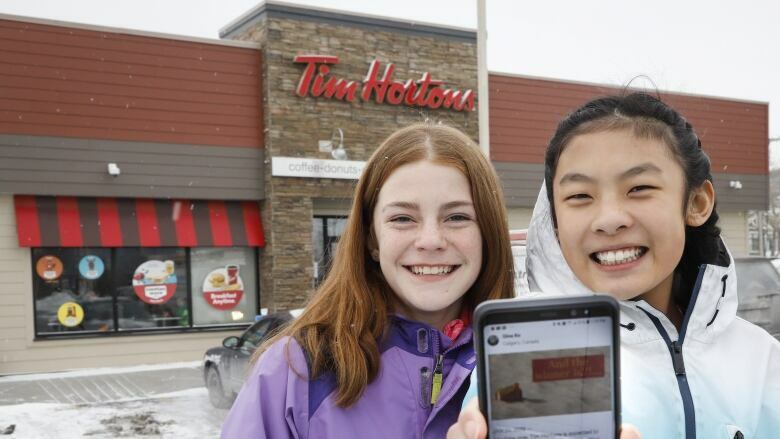 Three young people in Calgary are challenging Tim Hortons to join other major restaurants in making cups biodegradable and encourage reusuable mugs. "We think that if they could make a better cup ... then that would be great," Helman said. "Because all their disposable cups are going into the landfills and affecting the environment." 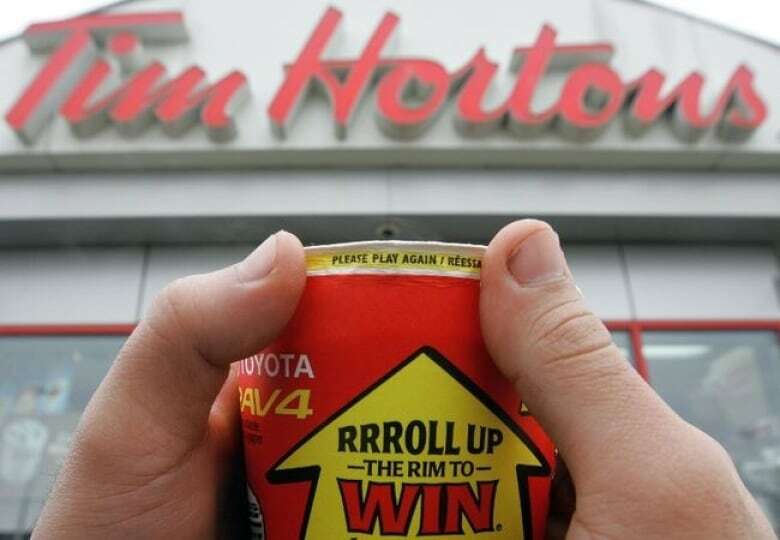 Roll Up the Rim to Win has been run by Tim Hortons since 1986, and this year's version of the contest launches Wednesday. "If Tim Hortons had some sort of electronic version of the Roll Up the Rim to Win, I think that would be a much more environmentally positive way to run the contest," said Duthie. The kids' previous efforts to reduce waste from Starbucks have been successful. With Tim Hortons, they see the popular contest to be a unique challenge. Chau said she knows using the app may be too large of a transition for some loyal Timmies customers. ​"They can bring in their own mug but they wouldn't get the Roll Up The Rim challenge," she said. To keep those people involved, she suggested using stickers or a receipt that customers can scan. Or, she said, get on board with innovating a fully biogradable coffee cup, as other major brands have started doing. "Working closely with industry, Tim Hortons will also begin testing a new, strawless lid in 2019 and increasing the amount of recycled content in our packaging," Almeida said. McDonald's and Coca-Cola are partners in the Starbucks biodegradable cup challenge. Chau and Helman say they haven't received a satisfactory response from Tim Hortons yet. When they petitioned Starbucks, the company's president met with them ahead of launching the better cup quest. They hope all of Restaurant Brands International's businesses, including Popeye's and Burger King, will do what's outlined in their petition. Duthie also petitioned Starbucks to stop giving out plastic straws, and the company is phasing those out by 2020. Their petition for Tim Hortons now has nearly 105,000 signatures. A now-closed petition targeting Roll Up the Rim received roughly 19,000 supporters.